Norway’s Edvald Boasson Hagen (Columbia) won his second consecutive stage at the Tour of Britain on Thursday. The 21 year-old jumped across to the early break of the day going through North Yorkshire and then attacked in the final kilometre of the descent to the finish in Dalby Forest. He finished four seconds ahead of Matthew Goss (CSC), with Danilo Di Luca (LPR) third at seven seconds and Victor Hugo Pena (Rock Racing) fourth at 11 seconds. 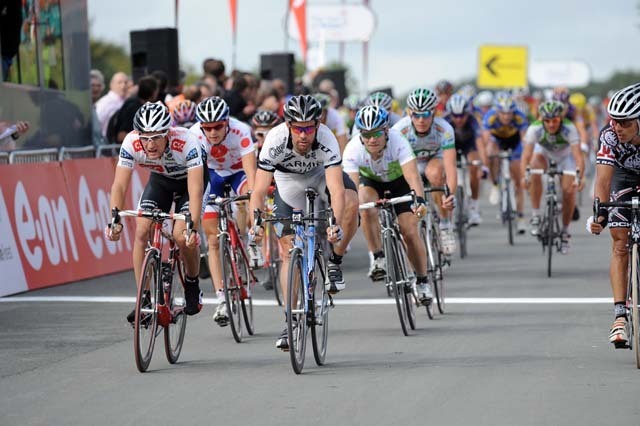 Julian Dean (Garmin) brought home the bunch in the same time as Pena after 164km of furious racing. Steve Cummings (Barloworld) is still second overall behind, six seconds behind the Frenchman and now faces a battle for the bonus sprint seconds in the three remaining stages of this year’s race. Ian Stannard (Great Britain) was dropped on the climb but chased and got back up to the leaders before the finish. He is still fourth overall at 11 seconds. Italy?s Gabriele Bosisio (LPR) is third at 10 seconds. British riders continue to impress in the top ten with Dan Fleeman (An Post) fifth at 13 seconds. Ireland?s Dan Martin (Garmin) is seventh at 14 seconds. Any of them have a good chance of snatching overall victory from the Frenchman. 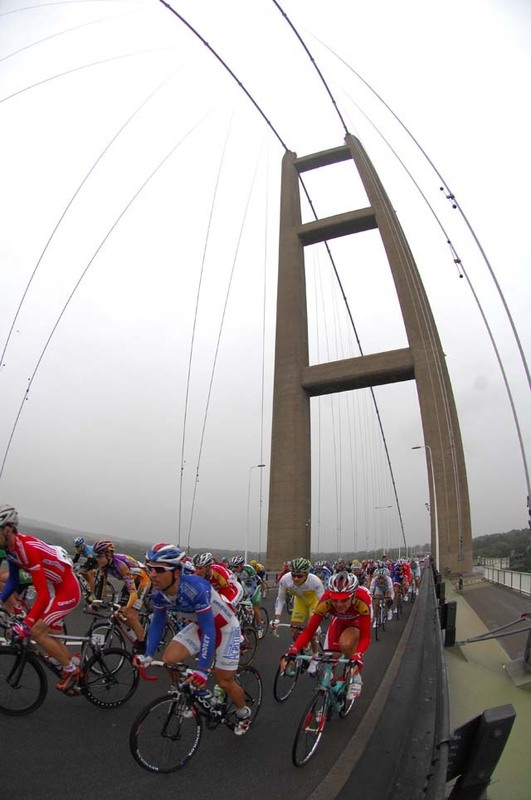 The decisive break formed after 35km when Goss and Travis Meyer (SouthAustralia.com) jumped away following a fast start over the Humber Bridge. They gained more than a minute but the Columbia team then began a furious chase, bringing the gap down to 12 seconds, and Boasson Hagen jumped across as they went through Beverley. Pena went with him to make it five up front and with all the riders 13 minutes down overall, the bunch let them go. After passing through Bridlington, Filey and Scarborough, Di Luca attacked on the last climb in the trees of Dalby Forest. He got a gap but he was pulled back by Goss and Boasson Hagen. Pena made a late move with two kilometres to go but when he was pulled back Boasson Hagen jumped away with 700 metres to go and escaped to win again. ?My team mates made a huge effort to get me up to the break and so I have to thank them. We don?t have anyone in the overall classification and so we worked hard to make sure I was up there,? Boasson Hagen said. ?Me and Goss worked together to get Di Luca back on the climb. Pena didn?t work and then attacked, so Goss and Di Luca chased him and then I made a counter attack with about 700 metres to go. I suppose late attacks are becoming my speciality.? The three short climbs in the finale on the edge of the North York Moors promised a spectacular overall showdown with nine riders only a few seconds behind France?s Geoffroy Lequatre (Agritubel). Dan Martin and his Garmin team tried to blow the race apart, with first Magnus Backstedt and then David Millar stretching the bunch on Falsgrave andd North Side. Martin went clear alone on the final steep climb in Dalby Forest but Lequatre and his Agritubel team kept their cool and controlled things cleverly to make sure Lequatre kept the overall race lead. ?My team did the big work today and so I hope we can go all the way to the finish with the jersey,? Lequatre said. ?Dan Martin attacked on the next to last climb. We controlled things and didn?t panic. The other teams helped us and so we let them do the work. It was a good day because we kept the yellow jersey. Now we?ll see what happens tomorrow. Hopefully we can let a little group go and control things behind.? Friday’s sixth stage is from Darlington to Gateshead. It includes two early climbs but is expected to end in a sprint. 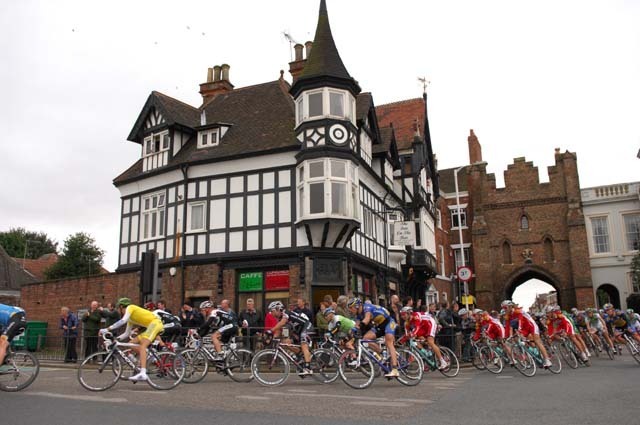 The three intermediate time bonus sprints and the 10, 6 and 4 second stage time bonuses are expected to be vital in deciding the final winner of the Tour of Britain. 10. Russell Downing (GB) Pinarello-Canditv all at same time. Tour of Britain official website: www.tourofbritain.co.uk.